About 100 years ago, flying in the sky was a luxury people have thought. And then, the first aircraft was born in 1903, invented by the Wright brothers, laying the foundation for the booming aviation industry now. Thanks to airplanes, people’s transporting and moving jobs become convenient and costly. So have you ever wanted to build your airline? Airline Commander will give you this opportunity. Are you ready to grow the boss of aviation, build and develop your property? 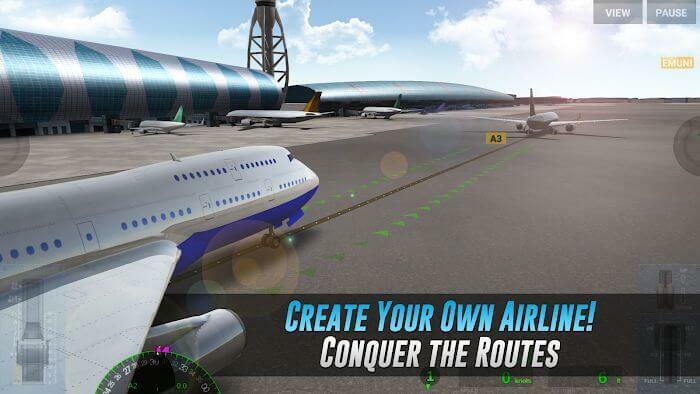 Airline Commander is a simulation game about aircraft theme. You will assume two roles in Airline Commander, which is an airline manager, and at the same time a talented pilot. As a pilot, you will drive your plane in the sky, taking on the task of transporting passengers or goods to the required locations. Flight routes are located at destination and flight distance. On the runway outlined the blue lines, and you need to fly the plane along this line to get to the right spot. The system provides you with a control interface, including many functions of the aircraft, such as turning on lights, steering wheel, etc. At the same time, the system allows you to drive in two modes, in the cockpit and out. It may be difficult to drive in a blue line, but under the guidance of the system, you will adapt quickly. As a manager, you will manage multiple planes, and schedule each specific flight. When you have a lot of money, you need to open new routes, and airports to expand your service activities, reaching out to the world. 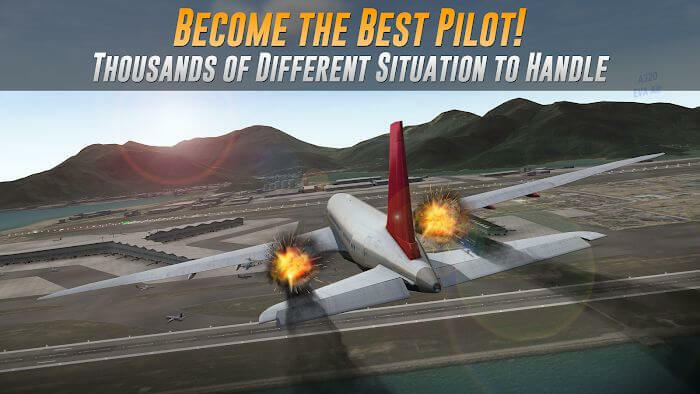 A fascinating simulation game like Airline Commander will, of course, be carefully invested in graphics. Airline Commander has a lot of realistic effects, like the weather: sun, wind, fog or day and night effects. The radar system will alert and help you in real cases. When you control the plane, you will feel like you’re in the cockpit, and flying in the real sky. The map system and surroundings are also quite well built. I guess you will love the feeling of watching the land, the sea or the majestic mountains from above. It feels more free and refreshing than ever. 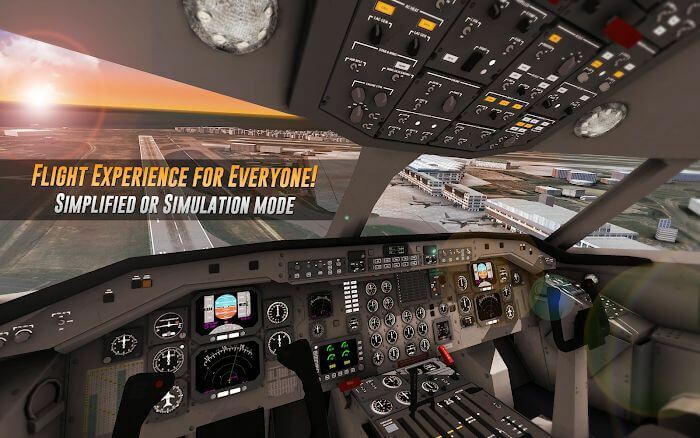 Right now, temporarily leave the noisy virtual life in the city and the work pressures behind you, and enjoy the wonderful feeling Airline Commander brings. Missions will always be completed successfully with the best possible results (regardless of what you do during the flight – even if you break the plane, even exit the mission/exam). For the mod to work correctly, first install the original and go through it, then without removing anything, install the mod.